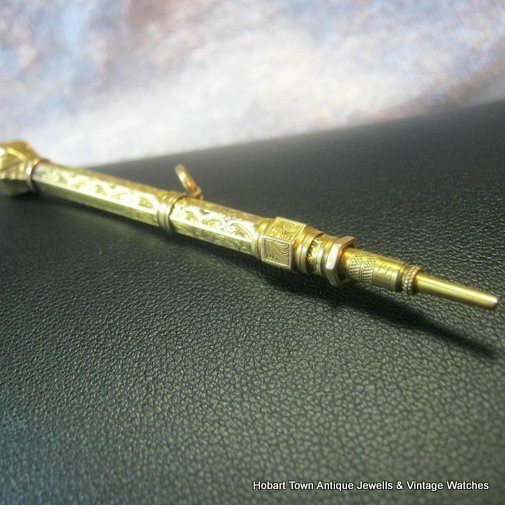 Considering Selling Antique Jewellery, Vintage Watches? 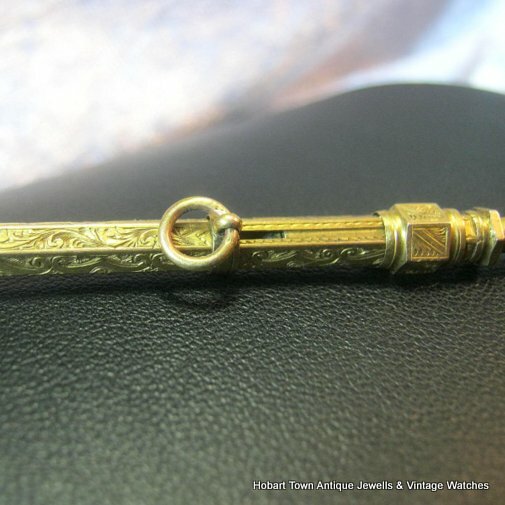 A Fine Quality Antique Propelling 15ct Gold Pencil Bloodstone Inset , ideal as an antique pendant. 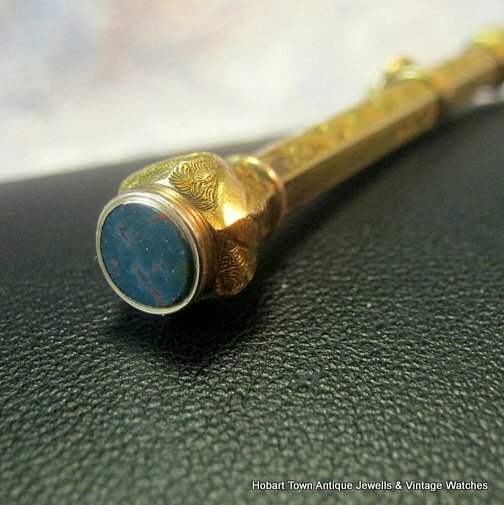 Highly figured bloodstone & amazing engraving throughout , c.1860. 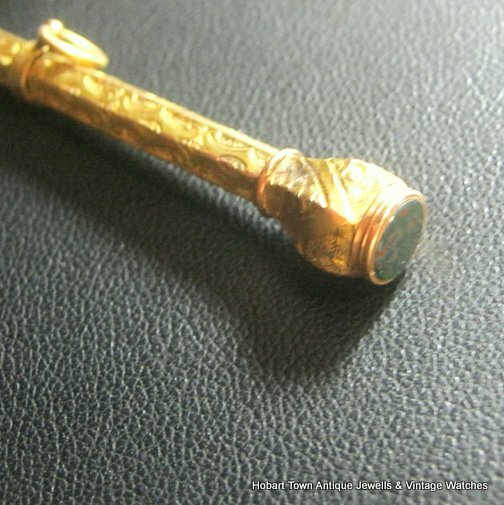 This fine quality Antique Propelling 15ct Gold Pencil Bloodstone Inset is a well above average piece. 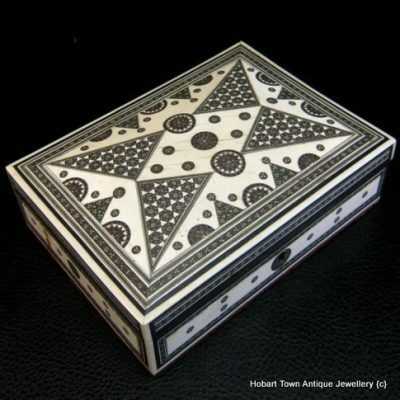 Beautifully & extensively engraved throughout. 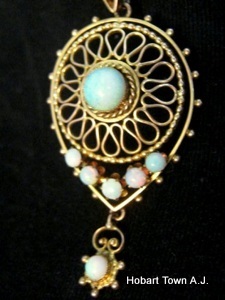 Beautifully crafted throughout with the slider allowing the piece to be worn as a appealing antique pendant. 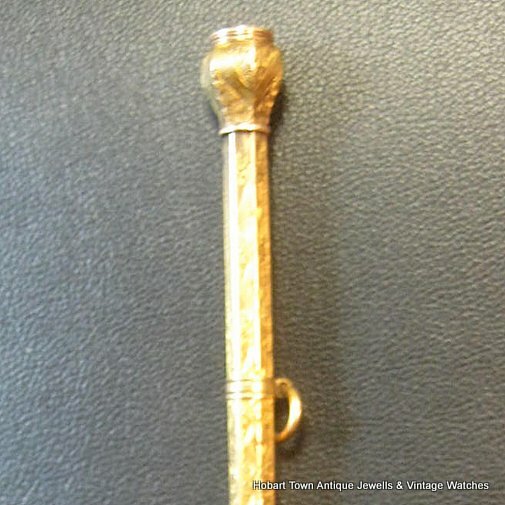 Tested strongly at 14ct/15ct gold , I believe it is an English made piece & therefore 15ct gold. It is guaranteed to be a minimum of 14ct gold. 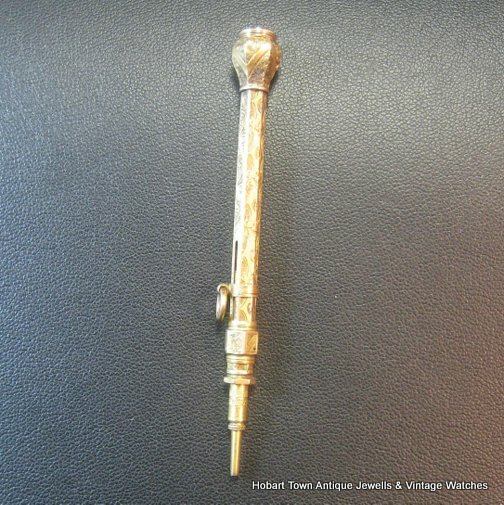 At approx; 82 mm’s with another 10mms approx; within , it is an ideal size for an eye catching antique gold pendant to be worn on a gold chain. 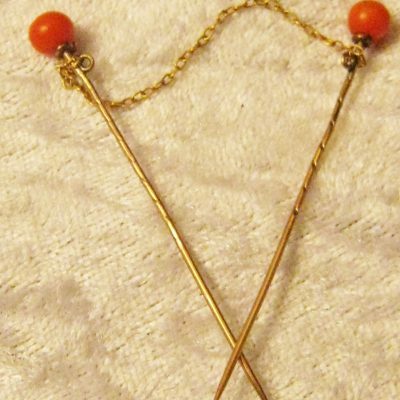 There are 2 miniscule holes at the faceted section towards the tip yet there are near invisible to the naked eye & may have held a chain loop. 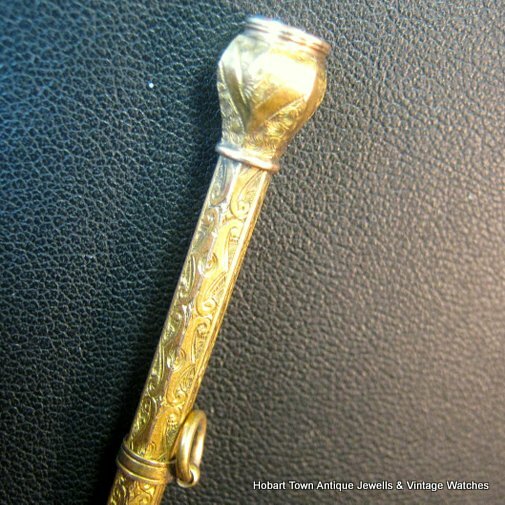 We have priced this handsome Antique Propelling 15ct Gold Pencil Bloodstone Inset well below it’s market value and that can be validated via comparing genuinely equal 15ct gold examples with quality bloodstone insets! 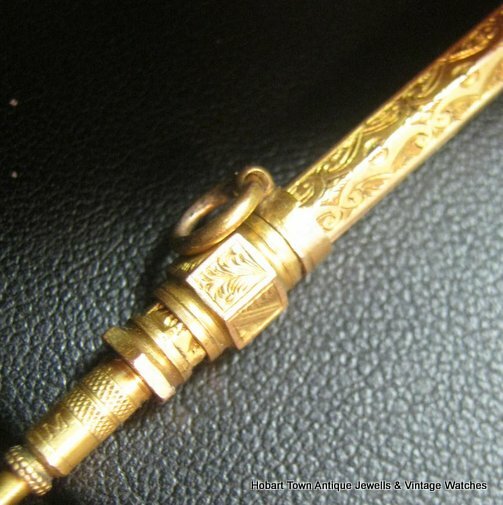 We have not polished or over cleaned the pencil and always prefer to sell antique jewellery without extensive polishing and prefer to leave those decisions to the next owner of the piece in question. Highly coloured bloodstone , far more so than most that I have seen in pieces of this size. There is even a green jasper inclusion! 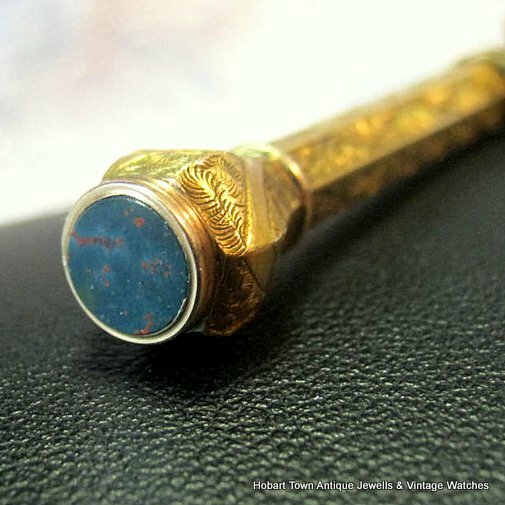 Highly collectable as a Antique Propelling 15ct Gold Pencil Bloodstone Inset yet also ideal as a pendant , this genuinely superior quality example is around half the price of most equal quality pieces that we have seen and offers genuine value for money! 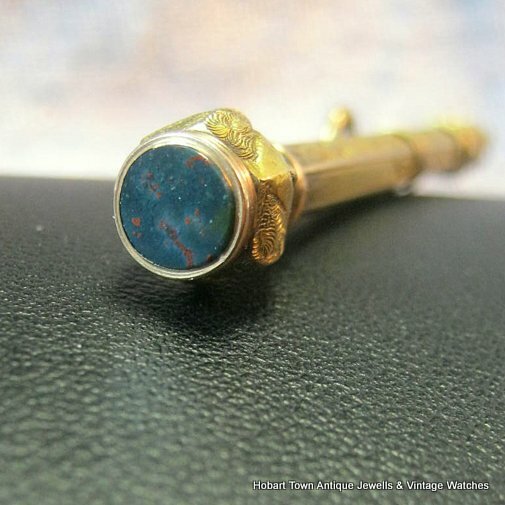 Please email with any questions that you may have regarding this handsome Antique Propelling 15ct Gold Pencil Bloodstone Inset and we will reply ASAP.